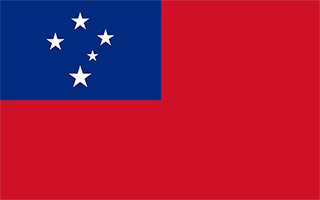 S -13° 52' 28" and W -171° 35' 54"
Lufilufi in Atua with it's 1,074 residents is a town located in Samoa a little east of Apia, the country's capital place. Time in Lufilufi is now 02:08 PM (Monday). The local timezone is named Pacific / Apia with an UTC offset of 13 hours. We know of 8 airports nearby Lufilufi. The closest airport in Samoa is Fagali'i Airport in a distance of 10 mi (or 16 km), West. Besides the airports, there are other travel options available (check left side). Being here already, you might want to pay a visit to some of the following locations: Samamea, Apia, Afega, Leulumoega and Mulifanua. To further explore this place, just scroll down and browse the available info. Let's start with some photos from the area. Piula Cave Pool east of Apia http://en.wikipedia.org/wiki/Piula_Cave_Pool. Located at -13.9167, -171.75 (Lat. / Lng. ), about 11 miles away. Located at -13.95, -171.633 (Lat. / Lng. ), about 6 miles away. Located at -13.95, -171.533 (Lat. / Lng. ), about 7 miles away. Located at -13.8367, -171.752 (Lat. / Lng. ), about 11 miles away. Located at -13.8598, -171.759 (Lat. / Lng. ), about 11 miles away. Located at -13.85, -171.6 (Lat. / Lng. ), about 2 miles away. Located at -13.8833, -171.55 (Lat. / Lng. ), about 3 miles away. Siuniu is a small village on the Samoan island of Upolu. It is located inland from the southeast coast of the island. Located at -14, -171.55 (Lat. / Lng. ), about 9 miles away. Located at -13.838, -171.77 (Lat. / Lng. ), about 12 miles away. Located at -13.8483, -171.742 (Lat. / Lng. ), about 10 miles away. Located at -13.929, -171.543 (Lat. / Lng. ), about 5 miles away. Located at -13.8314, -171.752 (Lat. / Lng. ), about 11 miles away. Located at -13.8266, -171.765 (Lat. / Lng. ), about 12 miles away. Located at -13.9333, -171.533 (Lat. / Lng. ), about 6 miles away. Located at -13.8833, -171.6 (Lat. / Lng. ), about 1 miles away. Located at -13.942, -171.543 (Lat. / Lng. ), about 6 miles away. Located at -13.943, -171.557 (Lat. / Lng. ), about 5 miles away. Located at -13.9333, -171.567 (Lat. / Lng. ), about 5 miles away. These are some bigger and more relevant cities in the wider vivinity of Lufilufi.